Without those named below and many others, this page would not have been possible. Jack Thompson, Chairman, Mike Bailey, Wanda Mackey, Ann Alexander, Beulah Tredway, Helen Jordan, Ruth Jordan, and Art Hays. Connie Redford, Ann Alexander, Helen Jordan and ZelIa Hensley. Many others contributed to this page with their knowledge, expertise, memory, old news articles and pictures. You all have made this page possible. This history is intended as a tribute to the many faithful members of this church. Herein is, in a sense, a present day roll call of the faithful. Many who are named here have already remained faith full unto death and are presently with the Lord. Others still remain who continue to work faithfully for Christ. It is by means of these lives that our church is what it is today. First Baptist Church, Burden, Kansas has stood the test of time! How is it that it has remained when others have failed? The answer is found in only one word - priorities! The imperative of the new birth by grace through faith in Jesus Christ must retain top priority for the church that lasts. The priority of New Testament style evangelism must be kept in clear sight for a church to remain through the years. We must disciple those we reach for Christ. We must keep the Bible as our guide for faith and practice. We must remain sensitive to the leadership of the Holy Spirit daily. Also, the church that lasts must retain a high level of commitment to Jesus Christ as Lord and Master of every part of their lives. The church that lasts puts a high priority on these things and more. As long as First Baptist, Burden keeps these priorities it will continue to stand the test of time! 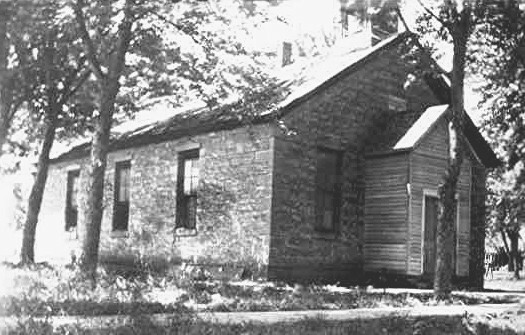 Before the City of Burden was even on the map, the Baptists among our early settlers organized a Sunday School at the Silver Creek school house located three miles west and a mile south of what is now Burden. As Burden became a growing little country community, a small number of Baptists organized a church in town. Several members of the Silver Creek Sunday School then became members of the Burden Church. The first pastor was Bro. Henry Thomas. Not having a building in which to meet and the M. E. (Methodist Episcopal) Church at that time having only half-time preaching, the Baptists were given the use of their building for two Sundays each month. At a meeting conducted by Elder J. M. Madding of Bridgeport, Ill., in the M. E. Church, Burden, the Burden Baptist Church was, in the presence of Elders D. H. Thomas and _____ Firestone of Kansas, reorganized after a suspension of two years or more. The following names of brothers and sisters "joined in the organization to work for Christ in the community": W. C. Smith, J. L. West, Henry Rowland, Mrs. Henry Rowland, W. G. West, Jane West, Temple West, Julia West, J. R. Cates, and S. M. Phelps. The Rev. 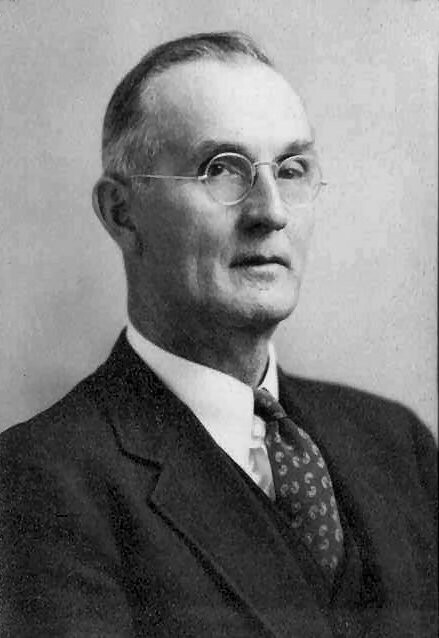 R. C. Childs became pastor shortly after the reorganization. The Church grew rapidly; and when the Methodists began to have full-time preaching, the Baptists, now without a meeting place, launched a building program. The motion to build a church building was made on March 17,1885. The first church building was a small stone building that stood on the same corner that the present building occupies. Rev. Childs and his father, who were carpenters, did the woodwork for the church. In addition, Rev. Childs made the old desk and the old pews which are still in use in the basement and annex. For a parsonage, Rev. Childs constructed a frame house on the corner where the present parsonage stands. At the time the old stone church was built, the Indians were still quite prominent in this area and would come to town and sit around with their blankets and watch the men as they worked. Mrs. J. C. (Minnie) Dyer, who gathered and wrote the history for the fiftieth anniversary celebration, vividly recalled both seeing the "old blanket Indians" and watching the workmen dressing the stone for the old church as she walked to school each day. The little stone church was heated by a big stove. The men would gather together on certain days to chop wood for the church stove, and the women would fix a big dinner. Because they had no baptistery, the church baptized in Silver Creek about a mile and a half west of town on the south side of the road. Some still tell of being baptized during the winter, sometimes going so far as breaking the ice to do so. 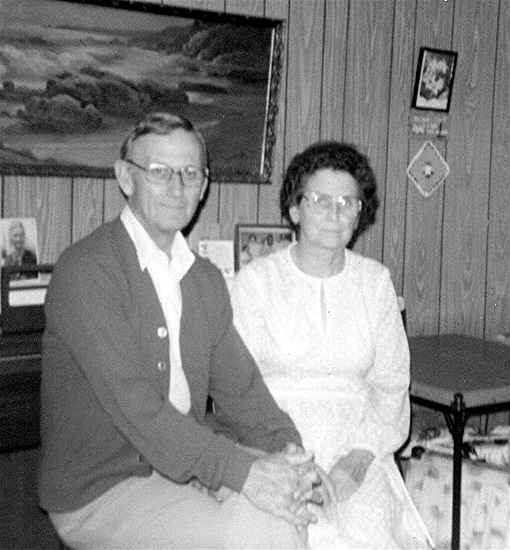 They also baptized in a pond at the old Charlie Gulick place, two miles west of town. Rev. Childs' salary, which was to be obtained by subscription (pledges), was $500 a year. F. A. Westover was Superintendent of the first Sunday School which was organized on January 30, 1886. F. A. Westover also served as the first deacon. Other deacons included C. W. Ryan (1886), Temple West and Z. T. Dyer (1887), and Harvey Smith (1892). Ed Baum and Z. T. Dyer became the first ushers. The first janitor, who began on May 1, 1886, worked for .50_ per week. On March 30, 1887, a motion was made to expel members for nonattendance. Even though these members were excluded, the church continued to grow and God richly blessed the work by adding to the membership of the church. Baptisms recorded were twenty-seven in 1888, thirty-eight in 1889, and twenty-four in 1890. By August 14, 1894, membership had reached 140 members. On Sunday, October 6, 1895, the following proclamation appeared in the church records. Whereas: Our Heavenly Father has seen fit to call from our midst our brother in Christ, Temple West, and while we humbly submit to His mandates knowing that all is well with the departed, Therefore be it resolved: that the bereaved wife and fatherless children are hereby assured that with them we mourn the departure of the kind friend, affectionate husband, loving father, and devoted Christian. We resolve that: In him the church has lost a charitable member, the Sabbath school a worthy Superintendence, the community an exemplary citizen, his family a loving protector. Therefore be it resolved: that these resolutions be spread upon the church record, published in the city paper and copies be furnished the members of the bereaved family. Information from some of the early minutes was sparse; however, they revealed that in 1902 Bro. Daniel Reese was pastor, J. E. Taplin was clerk, and Joel Dyer was treasurer. In 1904 Mrs. Franks, J. E. Taplin, and Joel Dyer attended the Associational Meeting in ElDorado as messengers. That same year J. H. Jones was called as pastor. He was paid $300 by subscription and was allowed to raise an additional $200. The janitor's salary was $2.00 a month. Two new deacons, W. T. Gilmore and S. M. Wilkins, were ordained on March 25, 1906. Joel Dyer, Charles Gulick, and _____ Willison were the trustees that year. Pastor Jones' salary was increased to $400 by subscription, and he was again allowed to raise $200 if he could. He resigned in 1907. In 1908 the church set apart the second Sunday in April and October to observe the ordinance of The Lord's Supper. Bro. H. J. Hassard was called on March 20, 1910, to serve the church as a full-time pastor. His salary was to be $500, or $600 if it could be raised. During this year the rostrum across the west end of the church was extended, making it level all the way. A contribution of $10.00 was given to the association for an associational evangelist. Other church action designated that all monies raised for pastoral and church expenses be divided - 90 per cent to the pastor and 10 per cent for church incidentals. On August 3,1912, the following resolution was adopted: "Resolved that we as a church will not permit banners, buttons, or any other devices to be used as rewards in the service of the church and Sunday Schools." Several noteworthy events occurred in 1913. 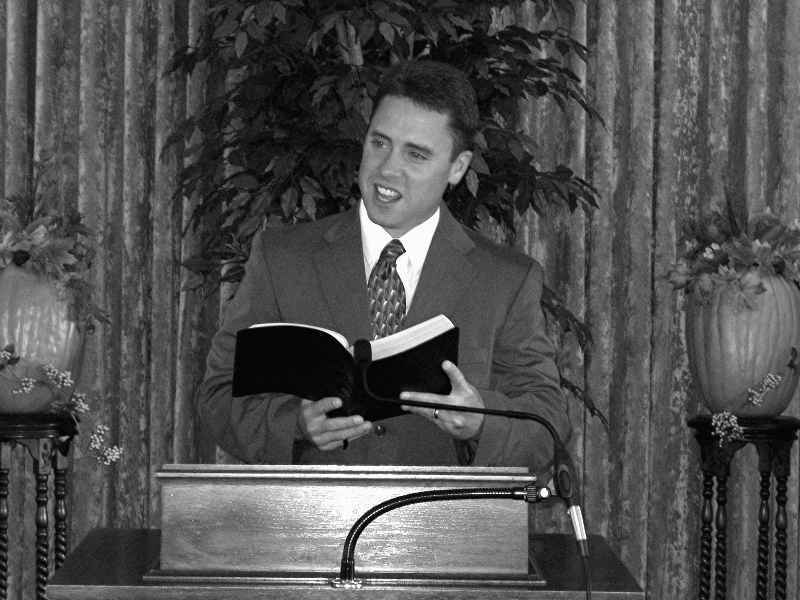 In August, Pastor Hazzard resigned as pastor. In the winter Rev. James Rider of Carthage, Missouri, came to Burden to hold a revival. According to Minnie Dyer's history it "was one of the greatest revivals in the history of the church" and a great number were saved and added to the church. In December, 1913, a committee of five was appointed to make arrangements for Baptisms. It was decided to hold this ordinance at the Gulick farm. Also, Trustees Osborn, Sitton, Headley, Galyon, and Brewster were instructed to have the church insured. They were able to insure the church for $700 with Wellington Mutual. December, 1913, also saw the selection of four more deacons G. W. Headley, A. F. Sitton, R. V. Grottan, and J. W. Garrott. In addition, Rev. C. B. Coleman was called as pastor and was to receive a salary of $800 per year. Since the congregation was continuing to grow, the church decided to purchase 100 song books at 10 cents each. 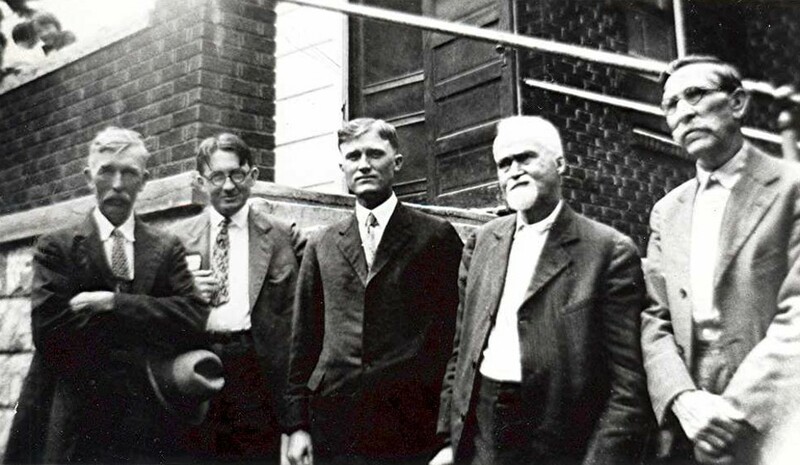 Early in 1914, Wednesday night was established as Prayer Meeting Night and Brothers Coleman, Powers, Gatton, and Thompson were elected to look after the sick. At the January 5 meeting, the church designated the first Wednesday of each month as business meeting night. At this same meeting it was voted for the deacons to arrange to pay the pastor's salary each month if the treasurer could not. The church said they would back them in this decision. They also voted to give the janitor a 50 cents per month raise. On March 4, 1914, the church voted to buy wire globes instead of glass for the kerosene lanterns. They also voted to give the W.C.T.U. (Women's Christian Temperance Union) the use of the church anytime it does not conflict with church services. The young people were granted the privilege of organizing a Blood Bought Band. The Burden Baptist Church has long been involved and concerned about mission work. In March, 1914, they voted to try to raise $40 for foreign missions, and in April the church voted to take an offering the first Sunday of every month for missions. On May 3, 1914, an ordination service for deacons was held; however, no names were recorded. In June a committee was chosen to buy a piano. 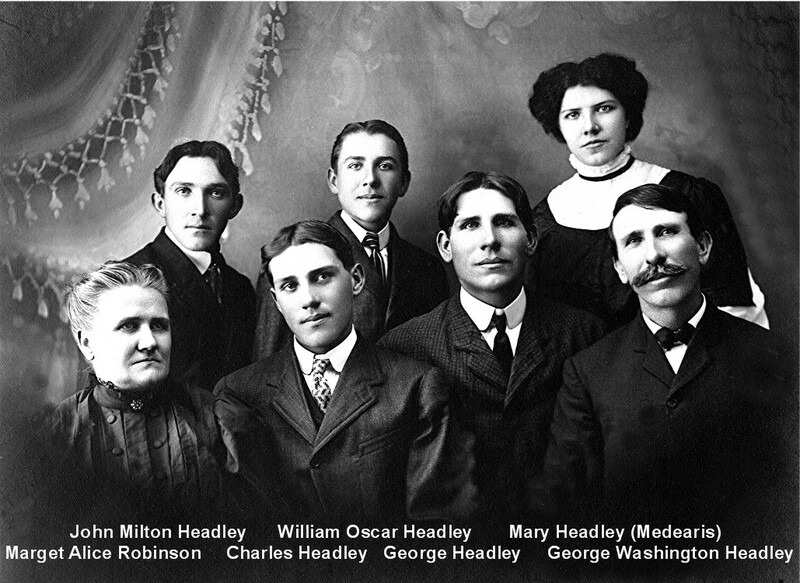 In August, 1914, the church voted to send ten messengers to the Walnut Valley Associational Meeting. At this time the church was still affiliated with the Northern Baptist Convention. In September the church pledged $15 for associational missions. On March 14, 1915, the church called Bro. Frank Medearis at a salary of $850 per year. The summer of 1915 witnessed an improvement in the church grounds and property. Sidewalks were put around the church. In August Mrs. Davis was reimbursed $2.00 she had paid out for coal oil and mantles. On December 1, the church voted to have a roll call. All members not responding were to be placed on a delinquent list and a committee elected to visit them. By March, 1916, the janitor's salary had increased to $5.00 per month with $2.50 extra per week when extra work was done. On April 15, the church voted that six months after a letter of dismissal was granted, if it was not placed in another church of like faith, it became null and void. In 1917 Bro. Medearis' salary reached $1000 per year. In October the church gave $15 to a colored Baptist Church in Winfield. On August 4, 1918, Bro. George Thompson was licensed to preach. On October 2, morning services were dismissed so members could attend the dedication of the new church at Prairie Ridge. There were no meetings in January of 1919 because of the flu. In February Brother Medearis resigned, but he was called back at $1200 per year. In July the church voted to withdraw from the Northern Convention. An article in the Baptist Digest dated July 11, 1964, tells how the Burden church reached the decision, and the part Bro. Medearis played in this decision. The church was affiliated with the Northern Baptist Convention. In 1919, it was confronted with the appeal to participate in the Inter-church World Movement, a fantastic Interdenominational fund-raising campaign in which Northern Baptists were to participate and from which they were to draw a proportionate share. When the people faced the issues involved, they decided they would not participate in the Inter-church World Movement, but that they would withdraw from the Northern Baptist Convention and join the Southern Baptist Convention if the NBC failed to terminate their participation. Consequently, he (Medearis) attended the Northern Baptist Convention in Denver, Colorado, and saw them vote to participate in the Inter-church World Movement. He then attended the Southern Baptist Convention in Atlanta, Georgia, where they rejected it. He returned to the church and led them to withdraw from the Northern Baptist Convention. His wisdom in the matter was vindicated in that the Inter-church World Movement failed miserably, and involved the Northern Baptist Convention in a loss estimated as high as 21/2 million dollars. The First Baptist Church of Burden affiliated with the Oklahoma Baptist Convention and the Perry Baptist Association of Oklahoma. In September, the church voted to send their mission money to the Southern Baptist Convention. On October 1 they voted to ask for admission to the Southern Baptist Convention, and on October 8 they voted to send a petitioner letter to the Perry (Oklahoma) Association of Southern Baptist Convention. In the fall, five messengers were sent to the Perry Associational meeting. 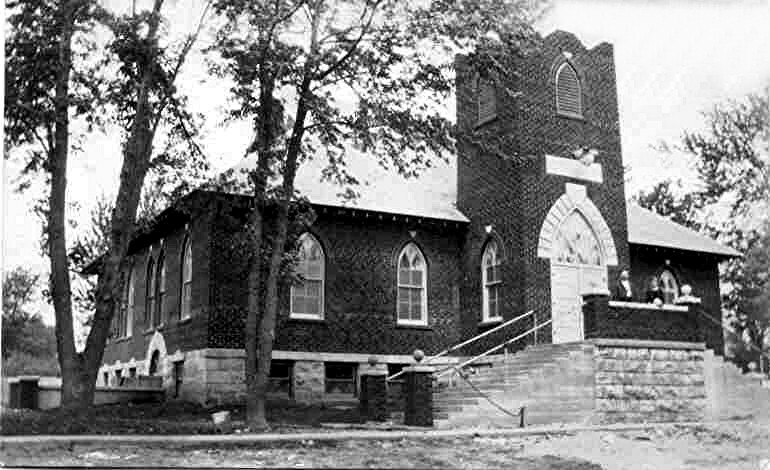 Other church action in 1919 included moving the hitching racks, which had been erected in 1916, from the north to the west side of the building. On May 5, 1920, Cal Dyer, Lige Tredway, and Purl Frank were selected for deacons. The ordination took place in October. In the summer of 1920 the church held a "tent" revival. On September 1, 1920, the treasurer reported that the church was out of debt. To make fires and light lamps for all services. Fires to be made in ample time to warm house before each service. Also proper ventilation. 2. Bells to be rung regular and on time. Sweeping and dusting to be done once a week and oftener if needed. Stoves to be polished and windows cleaned when needed. Books to be gathered and stacked after each service. In case Janitor cannot do the work from any cause they are to secure a substitute that can be relied upon to do the work. 7. Janitor to receive $15.00 per month for the above work as authorized by the church. Term of service to be as long as all parties concerned are satisfied. In February, 1921, Bro. Medearis requested that he not be called for another year. However, in a special meeting in March, he was called for another year. At this time the church began to plan for a new church building as the congregation was outgrowing the little stone church. On March 2,1921, the church voted to build a new church. They instructed the deacons and trustees to find suitable plans, cost, and plans for payment. In September the church accepted the recommendation of the building committee to build a new church. It was during this time just after World War I that Faye Gruver recalls Friday evening prayer meetings, known as Cottage Prayer Meetings. They were held in addition to the regular Wednesday evening meetings. Faye reports that sometimes there was not enough room in the home for everyone who attended. She also noted: "There seemed to be a greater or deeper spirituality then than now. It was because it was right after the war. Sometimes it takes disaster to get us where we ought to be spiritually." On February 1, 1922, Bro. Medearis offered his resignation which was effective March 1. Brother Dunham was called as pastor in April. Brother Hivner, who was granted a license to preach in July, was ordained in August. The current practice of observing the Lord's Supper once a quarter began in February, 1924, when Bro. Pulsifer was pastor. In April of that year the church voted to install electricity. 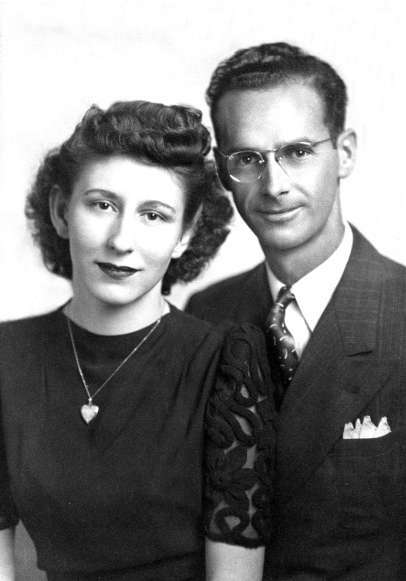 In November the church received a gift of $2000 from the will of Harvey Smith. 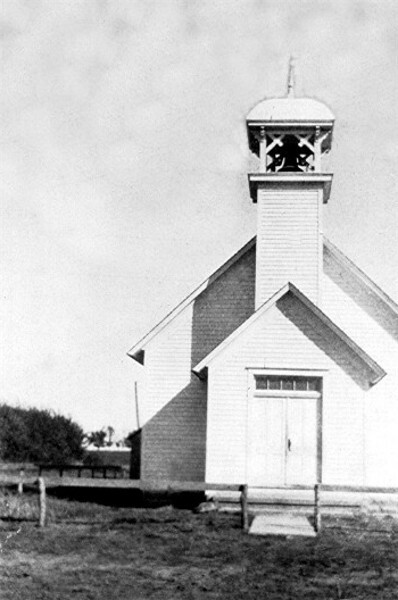 Even though the congregation had voted in 1921 to build a new church, enough funds had not been raised to make it a reality. This gift renewed interest in a building program if funds could be raised. On May 12, 1925, the church again voted to build. 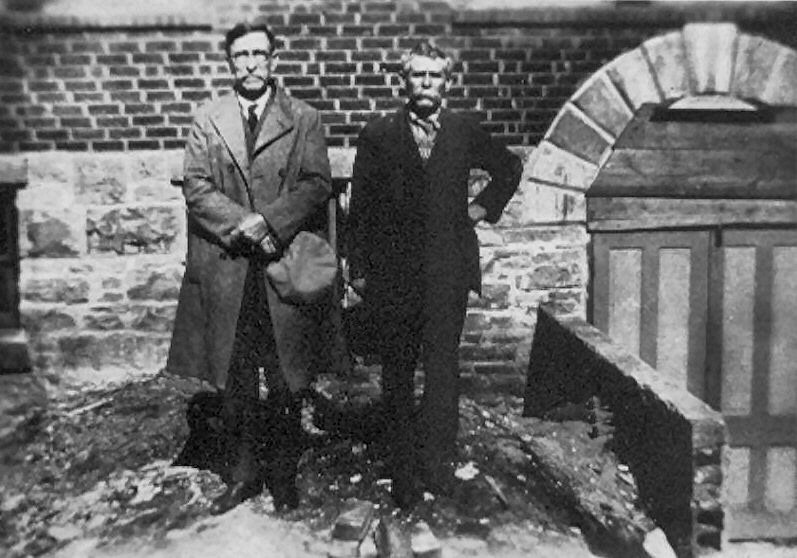 The building committee consisted of Purl Frank, George Gray, Sr., and Bro. Pulsifer. On May 19, the church voted to adopt the recommendation of the building committee (called official Board) to build. They also gave the building committee the authority to let contracts and hire men. Bro. Pulsifer also selected a committee to solicit funds for the new building. It was recommended the old building be removed and the new one erected on the same site. The recommended plan called for an oval ceiling and an elevated floor. In June two more deacons, Bro. A. M. Ott and Bro. Roy Ridings, were ordained. In November the church authorized the building committee to remove three trees in front of the church and use their own discretion in regard to the other two. The Burden Times, dated August 8, 1935, records the following information about the year the new church was built: "The year 1925 was a great year. It seemed that every member wanted to help in some way, and have some part in the building. Many gave beyond their means. So by prayer, faith, and sacrifice, the present church building was erected." In June, 1926, the deacons recommended that dedication of the new building be postponed indefinitely. They wanted to wait until the church was paid for before holding the dedication service. Brother J. J. Pulsifer handed in his resignation in June and in September, Bro. P. Boyd Smith was called as pastor. 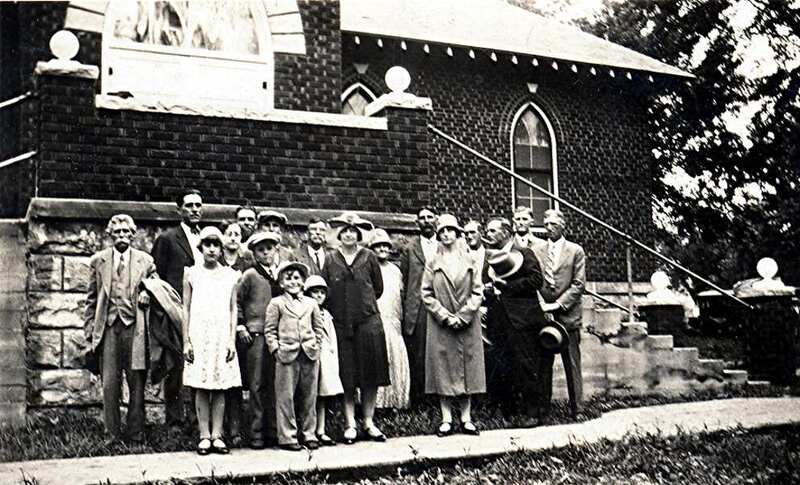 The August, 1935, Burden Times article gives the following information about the dedication of the new church: "Dedication services were held June 10,1928, and the building was dedicated clear of debt, and has never had a mortgage against it. The sermon of dedication was preached by the present pastor, F. C. Medearis, who was then located at Carthage, Mo. His sermon text was Joshua 4:6, "What mean ye by these stones?" Rev. P. Boyd Smith was pastor at this time." Under P. Boyd Smith the Ladies Aid sales were discontinued. He said, "If you can't pay me by tithes and offerings, I'll not stay." Rev. W. H. Hawes was the pastor after P. Boyd Smith, followed by Rev. J. D. Watkins. For several years during this time period, the W.M.U. adopted a child from an orphanage in Oklahoma. They would pay for school and clothing. They continued their support of one girl until her marriage, and the W. M. U. even made her wedding dress. Faye Gruver recalls at least three girls and one boy who were adopted. This practice continued through Bro. Ray Walker's pastorate which began in 1945 and ended in 1947. While Rev. Watkins was pastor, F. C. Medearis came and held a revival meeting at which time about a hundred souls were saved. Faye Gruver in recalling that revival said that at the last meeting people who had made decisions during the revival were lined up from the west wall across the front, and to the door on the east side. The church had its fiftieth anniversary celebration in August, 1935.Rev.J.D. Watkins of Tuttle, Oklahoma, a former pastor, preached at the 11:00 o'clock service. The devotional service in the afternoon was led by Rev. J. S. C. Hivner, pastor at Hackney, Kansas. Mrs. J. C. Dyer gave a history of the church, and Mrs. S. M. Wilkins paid tribute to "those who laid the foundation upon which the workers of today are building". Rev. H. J. Hassard of Oxford, Kansas, also a former pastor, brought the closing message at night. Special music, solos, duets, trios, quartets and orchestra numbers were interspersed through every service. Among other things, the church saw the need of more classrooms and it was decided to clear the way for the basement, which supplied the needs at that time. Faye Gruver recalls that some people felt that there was too much rock underneath the church building to make it feasible to build a basement. They decided to drive a rod into the ground to see how far down the rock was. The rod went all the way down into the ground. Later, when they cleared out the dirt and rock, the workmen found that the rod had gone in between two rocks. They figured that was the Lord's way of saying that they should have that much more room, which testifies to the faith of those involved in that endeavor. 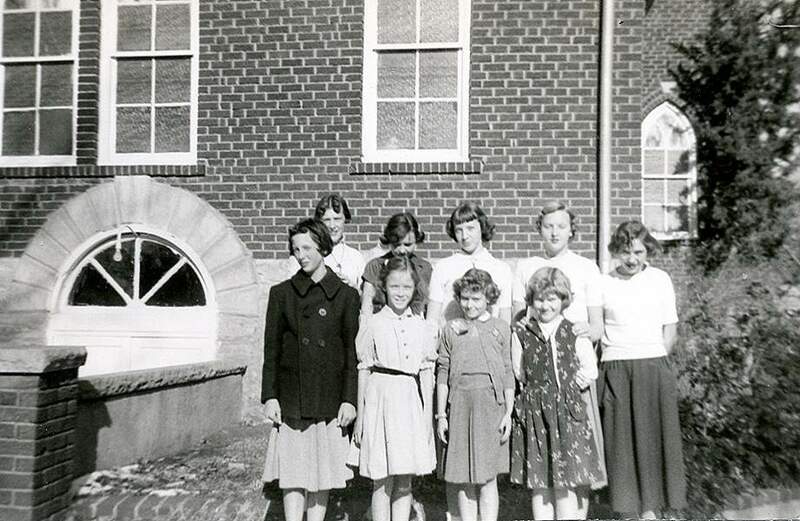 Grace Bryan reports that when she moved to Burden in 1943 the basement was in existence but water came in the door on the south, frequently, and the church had not yet divided the area into classrooms. She remembers attending prayer meetings in the basement except on those occasions when water prevented its use. In October, 1945, the church voted to finish the basement. It was at this time that classrooms were added. Grace recalls that occasionally the basement continued to leak but that the work done at this time improved that situation. When the educational building was added, the problems with water running into the basement were finally eliminated. Church minutes from 1941 record the deaths of "our beloved dead", Mary Travis, a former slave who lived and worked in the Sitton home many years and Mr. Purl Frank, a deacon. In 1945 when Bro. 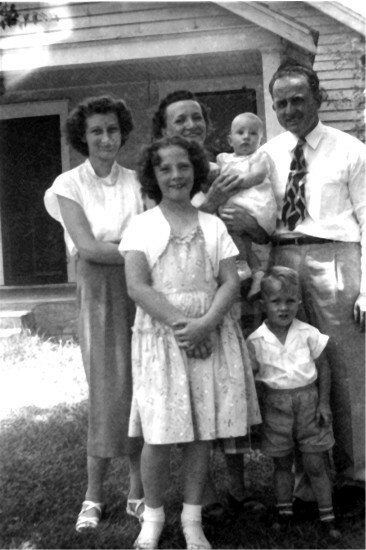 Fowler was pastor, the church voted to send $10.00 to L. L. Peninger for crayolas and pictures to use in mission work on the Island of Guam. From October, 1919, when the Burden Baptist Church petitioned to enter into the Perry Association of the Southern Baptist Convention, through the 1920's, 1930's and into the 1940's, the Burden Baptists continued to send messengers yearly to the Perry Associational meetings. In 1943 the meeting was held at the Baptist Church in Tonkawa, Oklahoma, and in 1944 they met at the First Baptist Church in Enid, Oklahoma. The Burden Baptists began to visualize a Kansas Southern Baptist Convention; and in 1946 under the leadership of Bro. Ray Walker, a meeting was called at the Burden Baptist Church for the purpose of writing a constitution for such an organization. At a called business meeting held March 17,1946, the Constitution and By Laws for the Kansas Convention of Southern Baptist Churches were read and adopted. The following people were chosen as messengers to sit at the meeting at Chetopah, Kansas: Faye Tredway, Grace Bryan, Billy Headley, Sarah Sumner, Mrs. Mills, Mr. and Mrs. Arch Gillaspie, and Rev. Ray Walker. A motion was made, seconded, and carried to accept the Declaration of Faith, Constitution, and By Laws as far as the Burden Church was concerned. At the Chetopah meeting, Bro. N. J. Westmoreland, who currently resides in Wichita, was elected Executive Secretary of the Kansas Convention of Southern Baptists. In February, 1948, the congregation voted to buy a new loudspeaker, to hang a new door on the west side of the church, and to buy fixtures for tables. In March the fund for building a baptistery and rooms on either side was established when Maxwell Bailey gave the money the church wanted to pay him for leading the singing at some special meetings to the fund. Later in the year a committee was appointed to check into the cost of building a baptistery, and, on August 29, a special offering was taken for the baptistery fund. The church continued to show an interest in mission work. On May 5 at a business meeting, the church voted to send a minimum of $10 per month to associational missions. In August they decided to extend an arm to each of their mission revival meetings and to accept any into the church who wanted to unite with them. In September Bro. Wilson was called to be the church missionary. He was to receive $5.00 per week, increasing later if possible. The mission pastor was authorized to accept all who came to unite with the church and to baptize all who united. Beginning on September 27 the church sponsored a revival at Wilmot. Plans were discussed and approved in April of 1949 to have services once a month at New Salem. Permission was also granted to investigate the possibility of purchasing a church building there. The total collection at the New Salem Mission by September 7 was $586.83 with the total expenses being $444.45. They had an enrollment of sixty-one, and the August attendance averaged eighteen. In the area of youth work, the church has always lent active support. In the summer of 1948, the church had voted to pay registration for all youth from our church who attended church camp in Salina. An Associational youth rally held in our church in June, 1949, was attended by 113 youth. In addition, the church presented Bibles to those youth moving from the Primary to the Junior department. It was in 1949 that members voted to start a building fund by setting aside the fifth Sunday offering. The Sunday School roll at the end of 1949 was 252. In January 5, 1949 meeting, the treasurer's report read, "No Funds"; however, being a mission minded church, the Lottie Moon Christmas Offering was $92.48. In February the motion was made and carried for Baptists to reaffirm their stand against dancing and card playing. 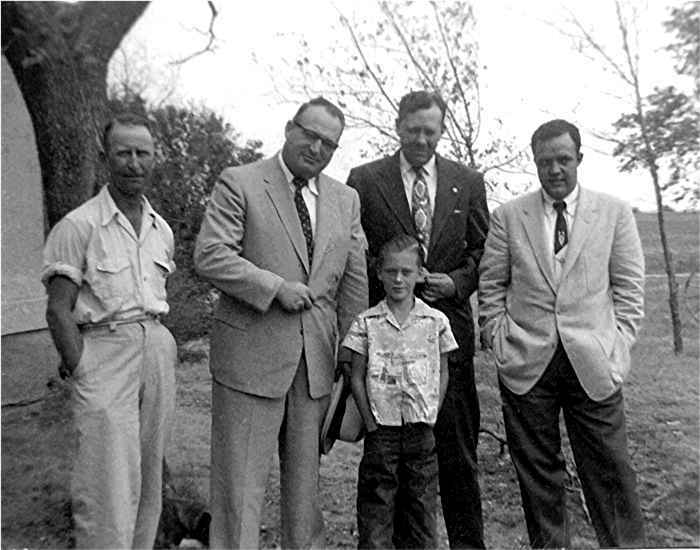 That year the Cooperative Program Sunday offering went to the Traveling Church of Evangelism with Ray Hart and the preacher boys. The W.M.U. gave total gifts for the year amounting to $361.09, and the church gave $50.00 from the Mission Fund for a revival meeting in Wellington. In January, 1951, Bro. Maultsby appointed a baptistery committee to plan the baptistery, to get contract estimates, and to elect a finance committee. At the February meeting, Doug Williamson reported that the order for steel for the baptistery was on file and that plans were made to secure a head carpenter and donated labor for the project. A special offering for the baptistery was planned for February 25.. At the same meeting, Bro. Maultsy suggested that the matter of his salary be dropped until baptistery funds were obtained. A building fund sign was to be made and hung beneath the Sunday School register in the sanctuary to record the progress. 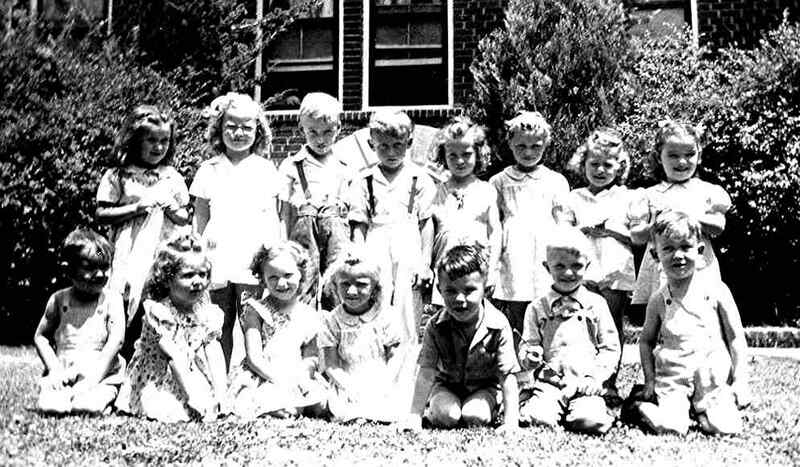 At the June 6, 1951 meeting, a record Sunday School attendance of 177 was reported. At this same meeting Bro. Maultsby's resignation was accepted. Bro. 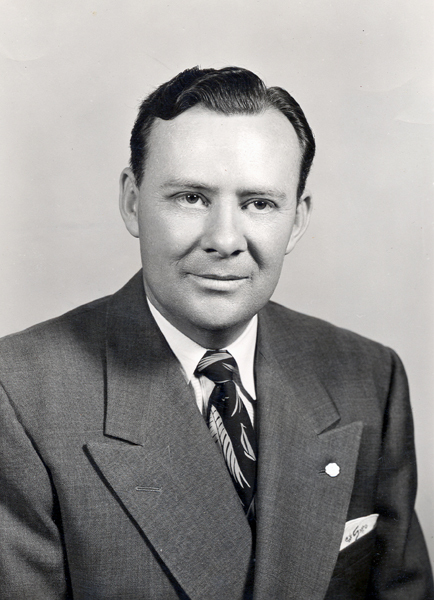 Elmer Orr became pastor in July, 1951, at the same salary Bro. Maultsby had been receiving. In December, 1951, the church voted to accept the six point Record System for Sunday School. In February, 1952, a committee was appointed to meet with the people at New Salem and bring back a report as to what to do with the mission. In December a report was given on the disbanding of that body. The people of the New Salem Mission chose to give $500 to the Burden Church for the new baptistery and the remainder to Bro. Maultsby's church. On October 15, 1952, Rev. Orr tendered his resignation, giving thirty days notice. Motion was made and carried to pay Rev. Orr thirty day salary and let him leave at once. In December, 1952 Bro. Shaw Belew became pastor at a salary of $65.00 per week. At the March 4, 1953 business meeting, the church made plans to ordain three new deacons -- Delbert Hensley, Harold Sphar, and Ray Smith. Brother Westmoreland was invited to be the guest speaker with Bro. Jack Stanton to be the second choice. At the March 22, 1953 Ordination Service, motion was made and seconded to form a council for the purpose of ordaining the new deacons. The council consisted of all the ordained ministers present and the deacons of the church. The council was authorized to examine the men being ordained as deacons. Motion was made and carried to proceed with the ordination. 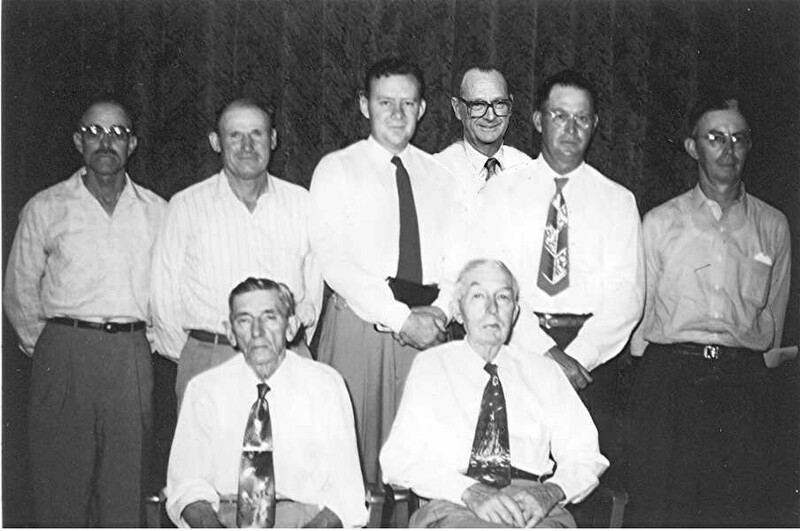 March, 1953, saw the appointment of a standing finance committee by the pastor and deacons. A building committee was also elected at this time, consisting of Vinton Nimrod, Carrol Harris, and Bob Ore.
On May 13,1953, the W.M.U. recommended that the church provide material for baptismal robes. Mrs. Lige Tredway was also authorized to buy new linens for the communion table. In September the baptismal robes, to be made by the W.M.U., were authorized, and Mrs. Wise offered to pay for the material. 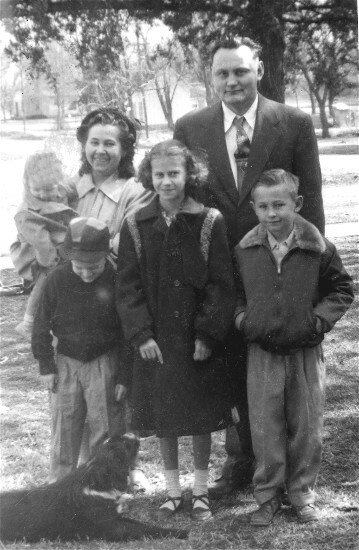 On December 2,1953, the church voted to sponsor the ElDorado Mission, to set aside $400 for an operating fund for Bro. Maultsby, and to continue to set aside $100 per month until the church sees fit to withdraw. On December 9, the church amended the motion of December 2. The church guaranteed the ElDorado Mission $100 per month if their income did not reach that amount. Bro. Maultsby was presented for church membership on a promise of a letter from Olivet Baptist Church, and he was called as mission pastor for the work in ElDorado. On January 27,1954, the previous motion was rescinded. The $100 per month was to be granted for only three months. The church voted to pay up to $300, if necessary, as a down payment for a mission building in ElDorado. On February 14, 1954, the money allotted to the ElDorado mission was diverted and applied to the salary of Bro. Maultsby. In 1954 the church voted to take a special offering for the Get Ahead Campaign, and the Home Department gave out quarterlies each month. The church continued to support the El Dorado church. They also voted to join other property owners in Burden in blacktopping roads. They gave $75.00 for this purpose. A Baptistery Plan was approved in November and $1500.00 was transferred from the General Fund to the Baptistery Fund. The church voted to thank those who donated a stove and refrigerator, and to purchase a sweeper. 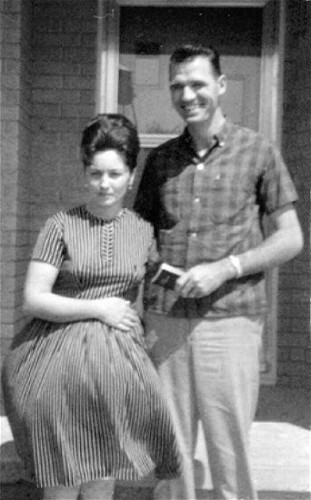 On June 12, 1955, Gene (Eugene L.) Leftwich was ordained a minister. The Sunbeams were allowed to plant flowers around the church. Also in 1955 the church voted to accept Shockey's bid to remodel the church and to withdraw the plan for the Baptistery. The auditorium fans were to be relocated and a loud speaker installed in the nursery. In addition, a committee was appointed to consider plans for an educational building. road as a dispatcher at Arkansas City for several weeks at night. Ray Gilliland was secured to help with the Sunday School Enlargement Campaign, and the church voted to sponsor a girls softball team. In 1956 the church voted to borrow $10,000.00 for building the annex and baptistery. Later, they voted to proceed with the baptistery and held off on the educational building. Committees were appointed to plan the baptistery and special offerings were approved to raise money for the baptistery. The church approved the purchase of dishes and other kitchen items, and Bro. Belew was hired at $1.00 an hour to paint the garage and parsonage. Bro. Belew was granted permission to choose the color he wanted to use. Delbert Hensley built signs for the church and tables were built for the Sunday School classes. The Brotherhood took up a special offering of $120.00 for the Garden City Church. In 1958 a special Thanks Offering with a goal of $1400.00 was approved. The purpose was to clear the indebtedness on the Lucinda Hensley house which was being used as the Intermediate Building. In 1959 the church recommended Bro. O'Dell to Midwest Seminary where he desired to be accepted as a student. They also voted to give Bibles to every couple married if either one was a member of the church. The church voted to observe its Seventy-Fifth Anniversary in June of 1960. In 1960 the church voted to install a new furnace. In 1961 the heating system indebtedness was paid off and one hundred new song books were purchased. The church approved the motion to repair the front steps and add rest rooms to the church. In May the church voted to build a new educational building. In July they voted to dispense with sending flowers to those in the hospital. Later in the year they voted to buy new rugs for the church, but they also voted to select a new pattern. The new pattern selected was unavailable. The Building Committee was authorized to go ahead and remodel and redecorate the church. For this purpose $750.00 was transferred from the General Fund to the Building Fund. The church voted to have a Church Homecoming and Dedication of the new building on November 11,1962. In 1965 members of Burden First Baptist Church broke ground for a new church parsonage. 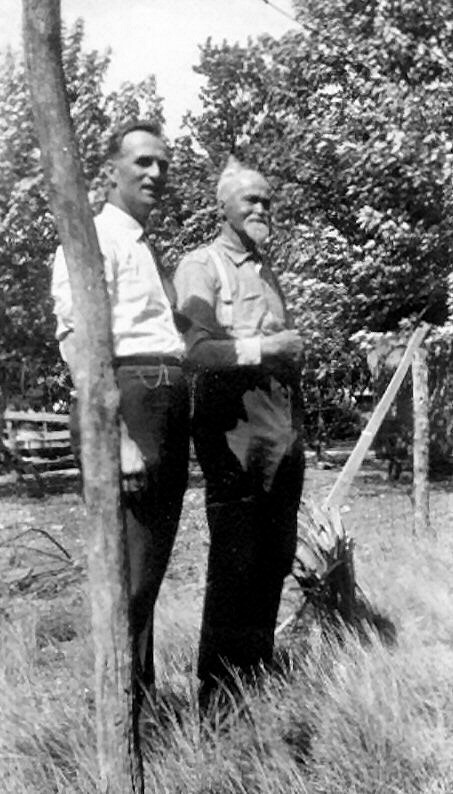 Using an old walking plow, Henry Mackey, trustee and chairman of the building committee and Curtis Bateman, church pastor, guided the old plow as it was pulled by several members with an attached rope. The $16,000.00 three bedroom brick house was contracted by Bob Sherrard of Winfield. The house was dedicated on Sunday January 23, 1966. The church adopted a goal of $368.00 for State Missions in 1967. In December of the same year a motion was made and carried that we buy the property immediately south of the church for $700.00 with taxes and abstract brought up to date. In 1968 the W.M.U. made a motion that the church approve a goal of $201.00 for the Annie Armstrong Offering for Home Missions. 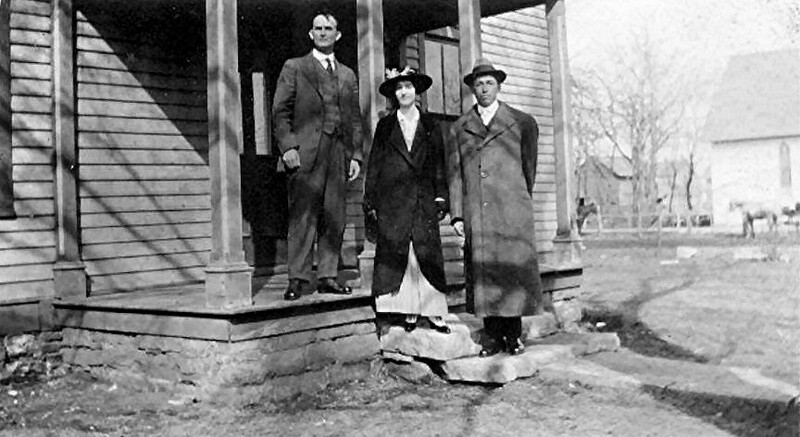 In March of the same year the missions committee was approved by the church to act as a pulpit committee for Prairie Hills Baptist Chapel located 3 miles west of Augusta, Kansas. In May Dale Buchman was called as pastor. Bro. O'Dell, who was Associational Missionary at that time, considered the beginning of this mission to be the outstanding achievement of the year within the association. Also in May, Bro. Curtis Bateman resigned the pastorate of our church. Bro. 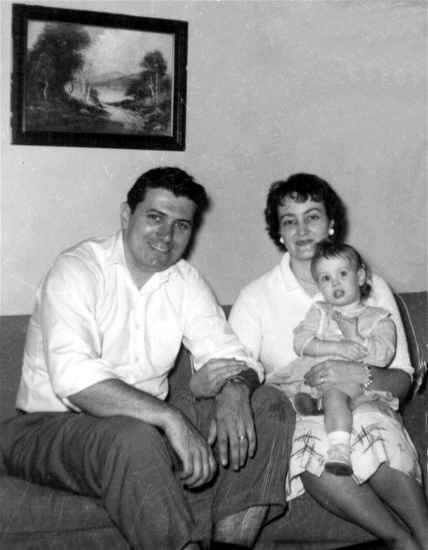 Laurence Henry was called as pastor in August 1968. In September, 1970, Bro. Lee Hensley was called as an active deacon for the church. The Lottie Moon Christmas Offering goal was set at $500.00. In 1971 a rug which was donated was placed in the four and five year old Sunday School room, and all the downstairs area was painted with volunteer labor. The church designated our C.L.A. (Church Loan Association) money to be given to help the Oxford, Kansas church with their indebtedness. In February 1972 it was decided to purchase 100 Baptist Hymnals at $2.25 each, with the church name on the front. In April, new shingles were put on the church and parsonage. Due to missing records and scarcity of information, little can be said about the years from 1972 to the present. We do have statistics for these years included in the statistical tables in this volume. 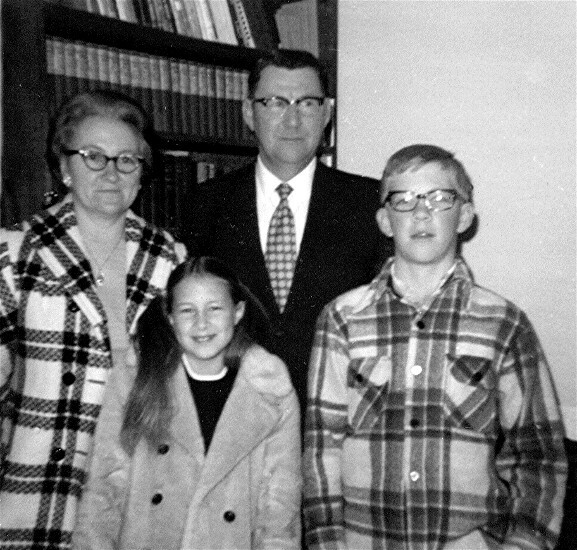 We do know that in the early 1970's two of our congregation felt the call of the Holy Spirit to go into the mission field. Ken and Linda Bowie have faithfully served that call in Peru ever since. Their service has helped to bring the reality of mission work closer to home for those of us who know them and continue to support them. We also know that on October 10, 1976, an ordination service was held ordaining Richard Mackey, Jerry Bryan, David Miles and Dwain Lauppe as deacons. Richard, Jerry, and Dwain continue to serve in that capacity, along with Delbert Hensley, Harold Sphar and Jack Thompson. David Miles has since moved away. Also there have been some changes in the physical appearance of the church. One gift provided new draperies for the area in front of the baptistery. Another added a piano, carpeting, and paneling to the annex. The most recent change is found in the addition of the new pews. Through the years, First Baptist Church, Burden has had, and continues to have a heart for missions. May it ever be so! "Oftentimes We find ourselves busy with present day problems and with building for the future, which is in itself highly commendable; yet it is important to have occasions like this to take a backward look upon the work and workers of other days - the workers who were pioneers in building and laying foundations that you and I might enjoy richer blessings and be inspired by the lives they lived. Perhaps (we) are inclined to think that (the) age in which we are living is the only age to have real problems, but it is not so, for it took courage and faith in Jesus Christ to meet the obstacles they faced. To be sure, we face different 'problems today, but to prepare ourselves to meet our problems with the same zeal and fortitude is our great need. My mind goes back today to the time when as a child I attended Sunday School in the one room frame building which stood just south of the present building. I think perhaps it was a community Sunday School, and in the afternoon once a month a small handful of Baptists met for preaching service. Rev. Firestone, Rev. Miller and Elder Thomas were some of the preachers of those days. I do not recall my Sunday School teacher's name, but I do remember the faces of Mr. and Mrs. Harvey Smith, who later became charter members of this church. 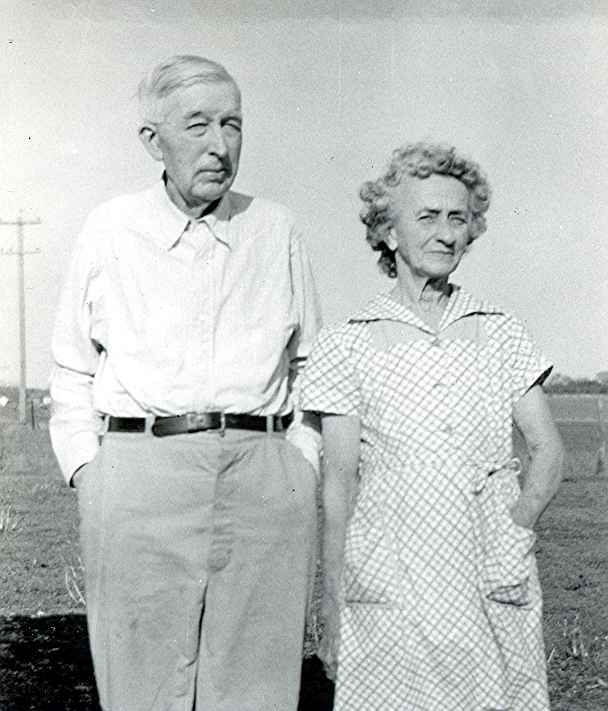 Mr. and Mrs. Smith were always zealous and loyal to the Baptist faith and were missionary in spirit as long as they lived, and the work in both home and foreign fields has been made richer by their gifts. The Lakes who came from the Silver Creek (Sunday School) to this (church) when (it) was young, were and are a blessing by their spirit filled lives even yet in their sunset of life. So many names should be mentioned because of some 'particular outstanding work that I would love to take time to tell, but as I recalled them in my mind, I found such a long list. In the twelfth chapter of I Corinthians Paul tells us that spiritual gifts are not the same to all. There are differences of administrations but the same Lord, the same Spirit which worketh all in all, and so it has been all along the line - the Taylor Dyers, the West's, the Rowland's, the Tom Cunningham's, Franks, Williams, Gilmore's, Elder Davis, the Headleys, the Coopers and many others. Who can think of these good people without recalling some outstanding work of the church for which they were responsible? I am sure it was Mrs. Taylor Dyer who in a private conversation gave to me my first impressive lesson in tithing. Others were strong in spiritual and devotional life, some in missionary zeal, some in their prayer service, Sunday School work, loyalty to (the) church and its doctrinal truths, some in examples of pure Christian living. In speaking of Sunday School work, I am reminded of the devoted services of John Garrett as superintendent - how he talked and worked weekdays, as well as Sundays, and no doubt is still going on wherever he is today. I remember the faithful work of Mrs. Hassard as she worked with the young people. I am sure as I have mentioned these names you too are thinking of many other faithful ones who have in some way contributed their part in the up building of this church and community life (for the cause of Christ). They have built better than they realized, else this church today would not be so blessed with zealous workers who are determined to carry on, building on the foundations laid by these early day Baptists. What a rich heritage is ours as we look back upon the Christian devotion of parents and workers of other days. You know the influence of one, noble life can never be measured. I wonder if our life today is measuring up to those noble examples that they may be added to the list of those who have built for God. Are we facing the problems of today with as much courage and faith? Are we doing our best to build character and lives for Jesus Christ? After all, there is no bigger job for us today or for our generation than to build character in the hearts and lives of our people for Jesus Christ (thereby strengthening) our community and our nation. I feel I would have failed had, I not at least mentioned, ministers who have carried burdens of this church, both pastors and evangelists. Everyone of them has left behind some great contribution. There comes to my mind, now those whom you have deemed outstanding and I am sure you are not leaving out of your thinking your present pastor (Frank Medearis) and his early ministry here. (At the time of his death it was said of Bro. Medearis: Southern Baptists of Kansas and Nebraska are greatly indebted for the effective and pioneering ministry of this good man. A spirit of optimism and bigness, seen in First Baptist, Burden, also reflected the spirit of Frank C. Medearis. It's leaders, including deacons, came to understand their place in Christian service through the type of ministry which he performed among them.) You think too of Rev. Hassard and Rev. Smith. The life of a church rises and falls as its members and pastors cooperate, and the spiritual level and efficiency of the church must depend on this cooperation. What this church is in the next fifty years depends greatly upon what you are doing and living today." Truly these words from the past are timeless words, being scriptural in content. First Corinthians 3:10-11 says: "According to the grace of God which is given unto me, as a wise master builder, I have laid the foundation and another builds thereon. But let every man take heed how he builds thereupon. For other foundation can no man lay than that is laid, which is Jesus Christ." First Peter 2:5 says: "You also, as (living) stones are being built up a spiritual house, an holy priesthood, to offer up spiritual sacrifices acceptable to God by Jesus Christ." These two passages are saying, Jesus Christ is the foundation, we are the building. In the years since the fiftieth anniversary faithful saints of God have continued to build upon Jesus Christ. We remember the following saints of God who have faithfully labored through the years for our Lord in this church: Cal Dyer, Lige Tredway, Doug Williamson and Harold Sphar who served faithfully as deacons for many years; Clara Mackey, Eva McMinn, Edith McMinn, Faye Gruver, Ethel Sphar and Audrey Mickley who served faithfully through the years as teachers; Beulah Tredway who has served many years as church clerk and teacher and is still on the job; Lucinda Hensley, Ava Ore and Zadie Sphar who remained faithful through the years; Nell Williamson who served faithfully with the W.M.U. and as a teacher; Maude Frank who was a teacher, worked with the W.M.U. and was an all around faithful worker for many years; and Bill and Ruth Headley who were pillars in the church, and gave of their musical talents through the years. Just as the roll call of the faithful in Hebrews chapter eleven is not conclusive, so this one isn't either. Many others have labored faithfully in our church for the Savior. And there are others who are even now working faithfully here for our Lord. What will our church be like fifty years from now? We repeat what Mrs. S. M. Wilkins said fifty years ago, and apply them to today: "What this church is in the next fifty years depends greatly upon what we are doing and living today. If you know better let us know, some we are not sure.